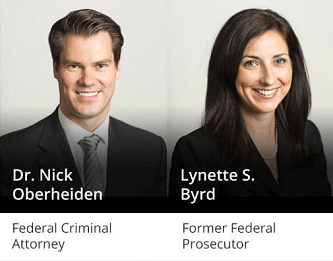 East Texas Internet Crime Charges Attorneys - Oberheiden, P.C. The world has changed. So much of the way we transact and interact involves the Internet, and that’s as true for criminals as ordinary citizens. In response, police have become extremely aggressive in going after suspected Internet crimes in the last few years, often to the point of excess. It’s all too easy to accidentally commit a crime online, or to fall under suspicion of a crime even if you didn’t do anything wrong. Many things can lead to unfair allegations — accidental downloads, misidentified IP addresses, someone else using your computer or smartphone, misunderstood Google searches, and private communications that are misconstrued when they end up in the hands of police (to name only a few examples). And just like the rest of us, police can make mistakes too. That’s especially common where Internet and computer crimes are concerned. Many local, state, and federal law enforcement departments now maintain around-the-clock Internet patrol divisions, which are constantly on the prowl for suspected wrongdoing online. These departments frequently break the law during the course of investigations, with violations that range from illegal surveillance and inaccurate technology to abuse of power and entrapment. Moreover, law enforcement technology isn’t always reliable. Have You Been Accused of an Online Crime in Tyler, Texas? You may find yourself facing Texas Internet criminal charges without having done anything wrong at all. Or maybe you simply made a mistake. In either scenario, we want you to know that we aren’t here to judge you. We’re only here to help you. We’re all human. Everyone is entitled to an aggressive and strategic criminal defense. At Oberheiden, P.C., we understand how alleged Internet crimes work, we know when and how prosecutors pursue these charges, and we have a strong track record of successfully defending American citizens against these terrible, stigmatic charges. When you hire a Tyler Internet crimes defense lawyer in our office, you will also be enlisting our entire team of professional advocates. They include former FBI special agents, former federal prosecutors, forensic investigators, and more. The government may have a bevy of resources to use against you, but our firm is ready to fight fire with fire. We believe in an aggressive defense. We aren’t here to compromise your freedom. We’re here to fight the charges, achieve a dismissal, and defend your good name. That is our goal in every single case we accept. We are fighters, we fight hard, and we will fight for you. With new legislation emerging all the time, Texas and federal prosecutors have an expansive array of potential charges available to them. Unfortunately, rather than looking for allegations that fit the available facts, prosecutors are notorious for overreaching and applying as many serious charges as possible. The penalties for Internet crime charges can vary considerably, depending on the crime – for example, whether it constitutes a misdemeanor or felony, whether it is charged at the state or federal level, how many allegations are involved, and the extent of harm caused by the alleged offense. In any case, you should take any suspicion or allegation of an Internet or computer crime very seriously. Police and prosecutors are extraordinarily aggressive in these cases, and you need an immediate and equally aggressive legal defense on your side. A Tyler Internet crimes defense lawyer at Oberheiden, P.C. can help. Whether you have been falsely accused or simply made a mistake, you don’t deserve to spend the next few decades in prison or the rest of your life in shame. Working with an experienced and aggressive defense attorney could make all the difference in the outcome of your case. Our mission is clear: to have the charges against you dismissed and the criminal investigations come to an end. That’s what we fight for, and we have a strong record of success. Our legal team is extensively well versed in up-to-the-minute and emerging technologies across a wide range of industries, and we are prepared for even the most sophisticated online scenarios. Please contact us right now for a free case evaluation with a Tyler computer crime defense attorney at Oberheiden, P.C.